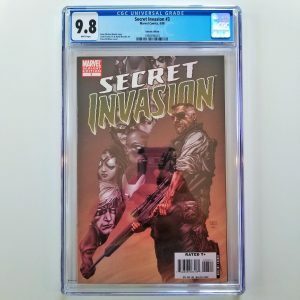 You cannot add "Secret Wars #8 CGC 9.6 NM+" to the cart because the product is out of stock. Available for sale is the Venom 30th Anniversary Variant of Weapon H #2 graded by CGC in 9.6 NM+ condition with cover art by Mike Mayhew! 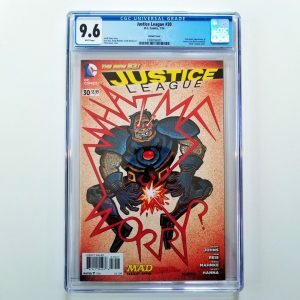 According to the CGC Census, only two copies of this comic have been graded by CGC making this a hard to find slab. 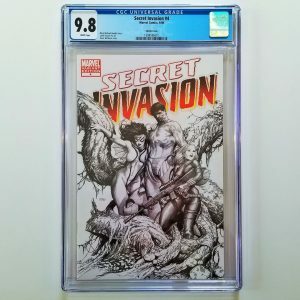 Add this amazing looking comic to your collection today! 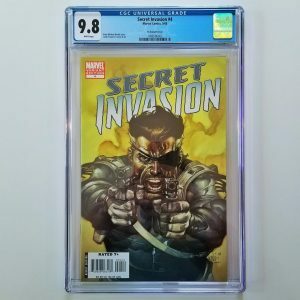 Available for sale is this Clayton Crain Variant of Web of Venom: Venom Unleashed #1 graded in CGC 9.8 NM/M condition. 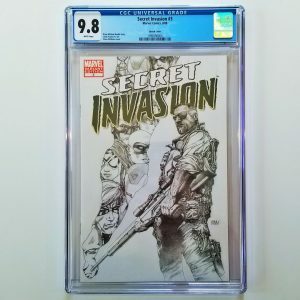 This Scorpion Comics exclusive had a limited print run of only 200 copies. Grab this limited edition, high grade comic today while you can.